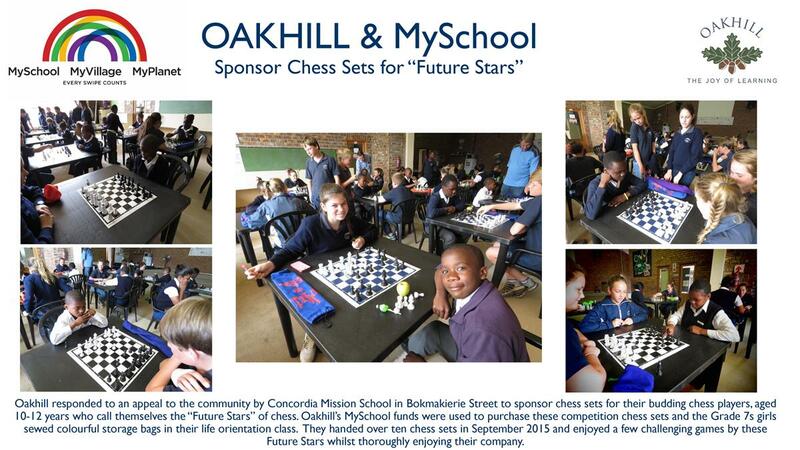 Please support Oakhill School by swiping your MySchool Card. 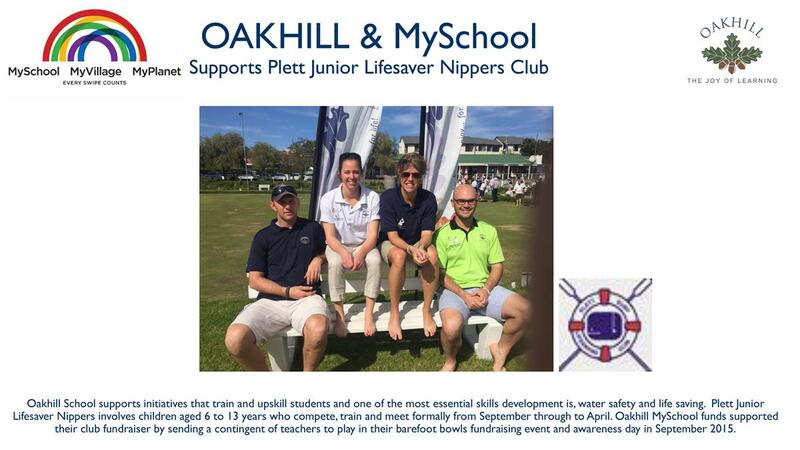 In order to become a supporter you need to be registered with MySchool and select Oakhill School as a beneficiary. 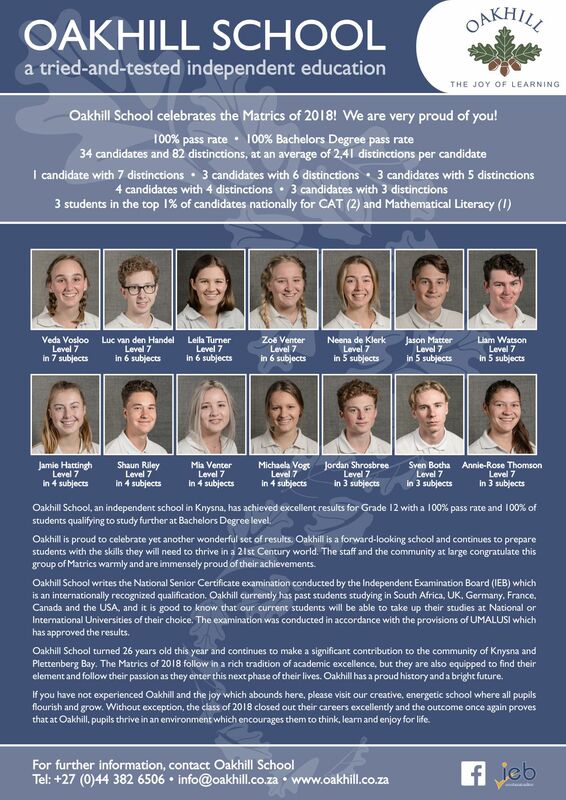 You can register online at www.myschool.co.za or click here for the MySchool Application. 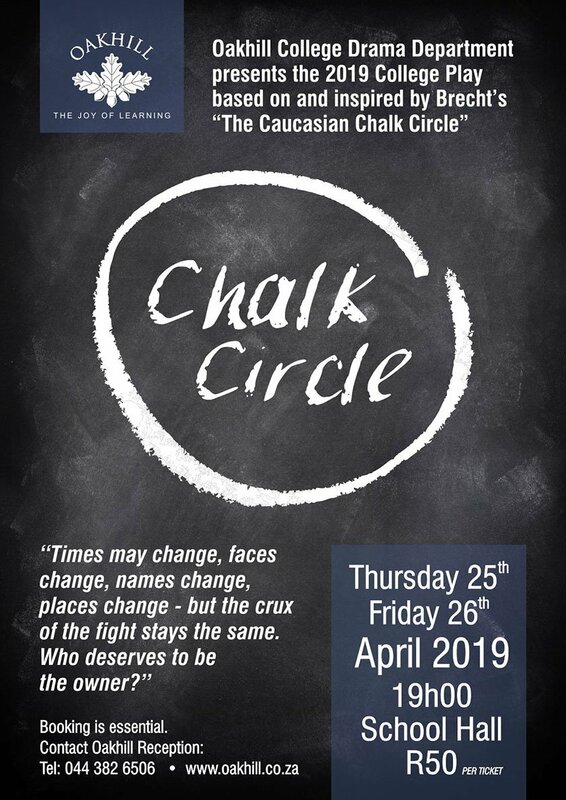 The programme gives parents and other community-minded individuals a vehicle through which to make a meaningful contribution to schools, in a convenient and transparent manner. 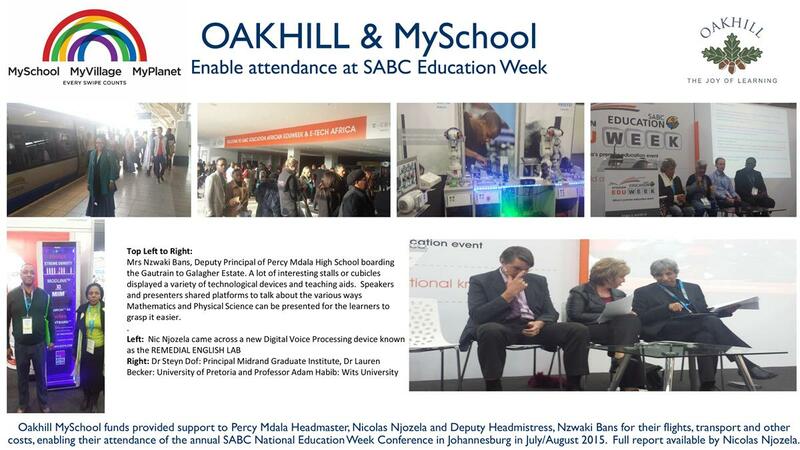 This is not a donation service, but a true partnership between schools and business partners. 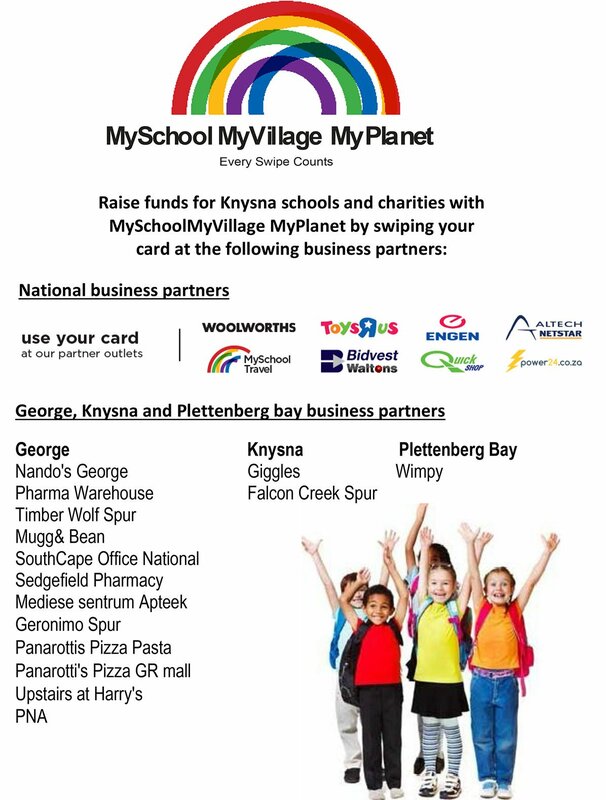 Supporters use their MySchool supporter cards whenever they transact with one of the MySchool business partners. A small percentage of their transaction is then allocated to their beneficiary school. 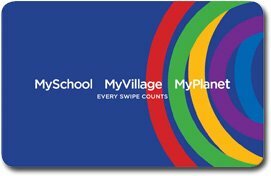 The supporter card is not a debit or credit card but serves as a measure through which valuable supporter data, such as transactions and funds raised for a particular school, are tracked. 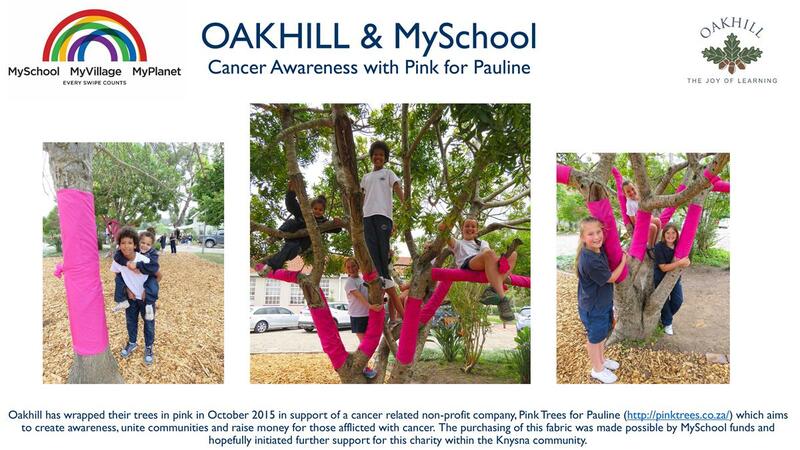 Oakhill School continues to be the one of the two top schools in the Garden Route region. 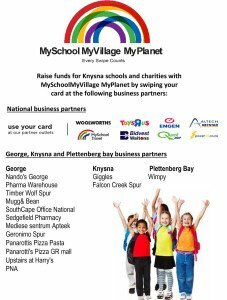 Every swipe with any of our Garden Route MySchool business partners counts and generates extra funds for our school! 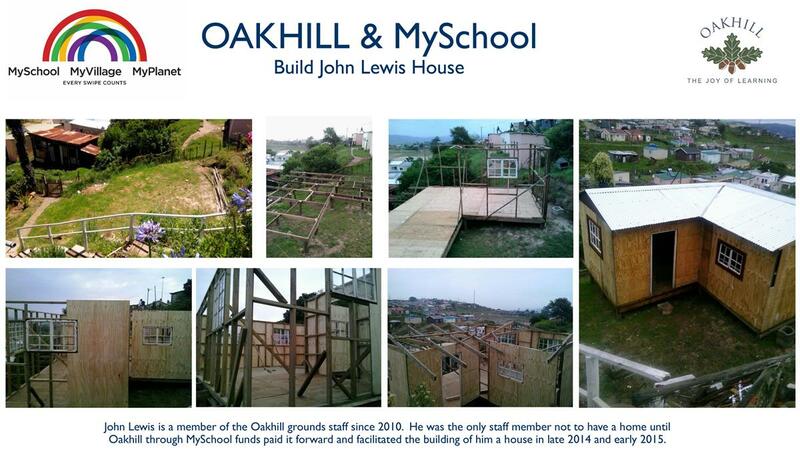 Last year we purchased outdoor benches for the school and more recently a stretch covering for outside the tuck shop area. 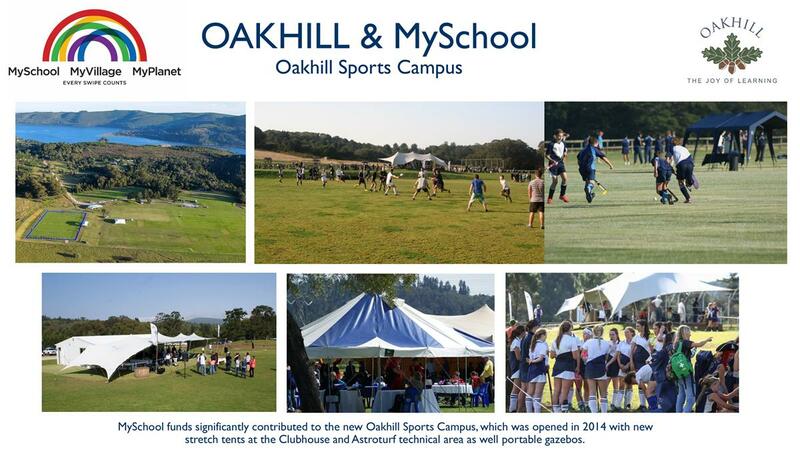 Oakhill School adopt local development schools and a portion of the MySchool funds raised are used to host fun outings to our school for football and fun sporting tournaments. We also help with food, clothing and stationery parcels to children in our local community thereby ‘giving back’ and ‘playing it forward’ to those in need. 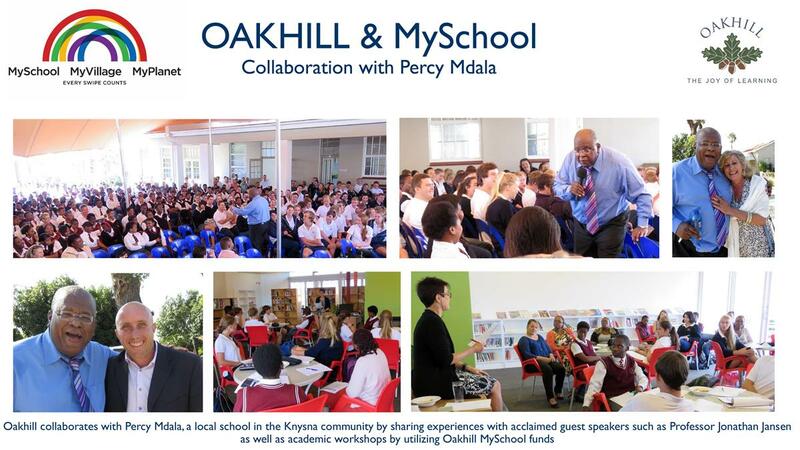 Click on the links for detailed information about where Oakhill has been able to use MySchool proceeds for various community initiatives ….